The rest of the country has gone crazy for poker, so why not me too? I watch it on TV, listen to Podcasts about it, read the books and magazines, and of course, I play too. I play live here in New York, and I play online. For the longest time I was limited to Pokerroom.com and their web interface combined with the phenomenal tracking software Mac Poker Pro, but finally Full Tilt Poker came out with a Macintosh client, so I play there too. And now that I can run Windows on my Macintosh using Parallels Desktop, I am playing on some of the bigger PC only sites. 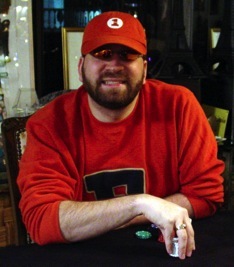 In fact, I won my seat at the 2006 World Series of Poker playing on Pokerstars.com. I also won a seat to the 2009 Main Event playing at a Poker4Life charity tournament for the Buoniconti Fund. In the Poker Section of my Blog, I have posted a tip for playing multiple tables online at once.